For those who love the outdoors and lakeside living, the towns of Cornelius and Concord, located just north of Charlotte, North Carolina, off the shores of Lake Norman, offer a perfect place to live. These small towns are also a short drive from the Cherokee and Pisgah National Forests to the West and the smaller, Uwharrie National Forest to the East. As affluent suburbs of Charlotte, many people make the commute from their jobs in The Queen City to the quieter towns of Cornelius and Concord to enjoy a slower pace of life and get away from the big city. Home and business owners throughout these communities have a sense of small-town pride, which is why Allison Fence Company is happy to be a part of helping everyone enjoy beautiful, secure and affordable fencing solutions. When you don’t have to worry about whether your home or business is protected, you can spend more time exploring the lake or practicing your golf game at one of many local courses, including the River Run Country Club, Trump National Golf Club and the Westport Golf Club. 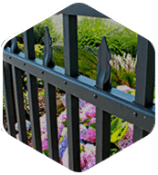 As a long-standing member of the community, Allison Fence Company has spent years working with residents and businesses and building meaningful, working relationships. We appreciate what Concord and Cornelius have to offer and understand why so many people want to call these towns home. It is our job to help you live the life you want through our commitment to high-quality products and services that can help upgrade privacy and security. Friends, families and neighbors throughout the area continue to turn to us for the best in design and installation services. Cornelius and Concord are both dotted with beautiful homes, many of which offer great views of Lake Norman. Our fencing solutions will add to the beauty of your home without obscuring your view or detracting from your ability to enjoy the great outdoors. With a range of chain-link, vinyl, wood, steel, PVC and other fencing options, we can work with you to create customized solutions that add curb appeal while also creating a secure perimeter. 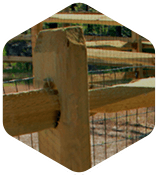 We work hard to stay on top of trends and ensure that we are offering the latest in durable and affordable fencing materials that are manufactured to last. 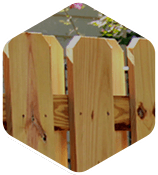 With the right strategy, you don’t have to compromise looks or go over budget when it comes to installing a fence around your property. Our expert installers are highly trained professionals who will get the job done right and ensure your total satisfaction. 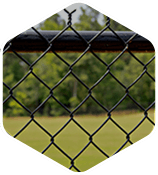 Businessowners around Lake Norman rely on Allison Fence Company to provide secure options that protect their facilities, inventory and employees. With custom fence and gate options, we can design a superior security system that limits and controls accessibility and provides you with a certain peace of mind. You can trust us to offer the best in high-quality materials that are incredibly durable and reliable for long-lasting, low-maintenance solutions. Don’t leave your home or business in the hands of just anyone. 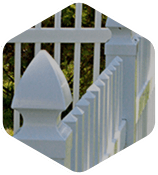 Go with the trusted partner who has been serving local Concord and Cornelius residents for years and truly understands both residential and commercial fencing challenges along with the ideal solutions. Call us today to learn more about exactly what we offer and being discussing custom solutions that can be catered to fit your needs. Our team of experts standing by, ready to answer your questions and help you get started on your fencing project. We look forward to getting to know you.